endorsed the statement and also uploaded it on their website. and six US helipads in Takae) along with Ainu people's issue. We are very happy to have No Helipad Takae Resident Society in our statement. to address the US base issues through CBD and UN channels. forward to the next stage. on Blog“Ten Thousand Thing” . 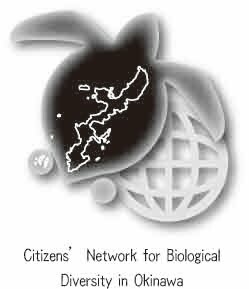 On behalf of the Shimin Gaikou Centre, Asia Indigenous Peoples’ Pact, Forest Peoples’ Programme, Citizens' Network for Biological Diversity in Okinawa, No Helipad Takae Resident Society(Okinawa), and Mo-pet Sanctuary Network I would like to make a brief statement regarding the situation of human rights violations of Ainu people and Ryukyuan/Okinawan people. Since the adoption of the United Nations Declaration of the Rights of Indigenous Peoples by the General Assembly in 2007, the Government of Japan has recognized the Ainu as an indigenous people and established the Council to Promote Ainu Policy at the end of 2009. We recognize a certain limited progress in Ainu policy since 2007 at domestic level. However, the cases which violate the indigenous peoples’ rights of the Ainu and Ryukyuan/Okinawan people continue to take place in Japan. We are deeply concerned about the reluctance of the Japanese government to fully implement the UNDRIP, and to embrace its spiritual, legal and political implications. First, regarding the Ainu people, the city government of Mombetsu, a municipality in Hokkaido Prefecture (traditional Ainu territory), authorized a plan to build an Industrial Waste Dumping Site near the Mobetsu river on February 26th, 2010. The Mobetsu River is one of the most important places for co-existence between the Ainu culture and the natural environment, and an important site for autumnal salmon spawning in the Monbetsu area. A traditional ceremony (Kamui Cep Nomi) to thank the deities to provide the Ainu with lots of salmons was revived in 2002, and the ceremony is carried out every autumn by the local Ainu community. Prior to the authorization, the local Ainu community in Mombetsu, working in collaboration with local Japanese groups supporting environmental conservation, demanded that the city government respect the UNDRIP including land, cultural and environmental rights and the principle of Free, Prior and Informed Consent (FPIC) and review the plan from the indigenous peoples’ perspective. However, unfortunately, the city government has not given any consideration to the Ainu rights and has now authorized this project. As a result, the construction work has been already started, and the local Ainu people have sent application to the Prefectural Pollution Examination Commission (PPEC) to look into the matter. Second, regarding the Ryukyuan/Okinawan people, the Government of Japan has not implemented the recommendations of the UN Human Rights Committee and the Committee on the Elimination of Racial Discrimination, which call on the government to recognize Ryukyuan/Okinawan people as an indigenous people. As a result, as reported by UN Special Rapporteur Contemporary Forms of Racism, Racial Discrimination, Xenophobia and Related Intolerance, Doudou Diene, the heavy presence of the U.S. military bases in Okinawa remains as a form of discrimination against the people of Okinawa. At present, two new military bases construction plans are being carried out under the agreement between the governments of Japan and the U.S., despite the longtime opposition from local indigenous peoples’ communities. One massive military base is being constructed in Henoko and Oura bay. While the International Indigenous Forum on Biodiversity (IIFB) expressed its concerns on this plan in the closing statement of the 10th Conference of the Parties to the Convention on Biological Diversity (CBD COP10) in Nagoya in 2010, the Government of Japan has ignored the concerns raised in the statement and is proceeding with the plan. Another military base, six new helipads, is being constructed in Yambaru forest, Takae district of the Okinawa island. In response to their protest, the Okinawa Defense Bureau, the local agency of the Government of Japan, has filed Strategic Lawsuit against Public Participation (SLAPP) against local indigenous community members. The reluctance of the Japanese government to implement the UNDRIP at the local level violates Ainu and Okinawan rights to participate in the decision-making process. The authorization of the construction of the Industrial Waste Dumping Site in Mombetsu city, Hokkaido Prefecture, and the construction of military bases in Henoko and Oura bay and helipads in Takae, not only violates Article 29 of the UNDRIP but also seriously violates the indigenous peoples’ right to Free, Prior and Informed Consent (FPIC) which is clearly stated in Article 32. It also denies the important role of indigenous and local community to preserve bio-diversity as stipulated in Article 8(j) of the Convention on Biological Diversity (CBD). 1. We recommend the Government of Japan shall establish national and local systems in conjunction with indigenous peoples to obtain their free and informed consent prior to the approval of any project affecting their lands or territories and other resources, in accordance with the UNDRIP. 2. We recommend that the city government of Mombetsu shall respect Free, Prior and Informed Consent of the local Ainu community concerned, and to reconsider the authorization of the Industrial Waste Dumping Site. 3. We recommend that the Goverments of Japan and the U.S. immediately stop the construction of the military bases in Henoko and Oura bay as well as helipads in Takae and review the plans. 4. We request the Special Rapporteur on the situation of human rights and fundamental freedoms of indigenous people shall use his good office to directly intervene in the Government of Japan regarding the construction of the Industrial Waste Dumping Site in Mombetsu city, Hokkaido Prefecture, and the construction of military bases in Henoko and Oura bay and helipads in Takae, Okinawa Prefecture.